Hold this smooth stone in your hand. Then give your worries to the angel inside, trusting that you’ve been heard. You’ll be surprised at the sense of tranquility that flows through you as you put this heavenly amulet to work. 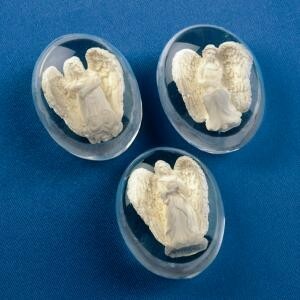 It’s made from clear acrylic, with a tiny polystone angel suspended within.